These beautiful slices have been sanded smooth on both sides and still have the lovely brown bark around the edges. The slices are naturally dried, no chemicals were used. These wonderful pieces are great for rustic wedding decor, country wedding décor, cake stands, wedding centerpieces, add mason jars or candles, plate coasters, home decor, crafts and DIY supplies etc. They all have the lovely gorgeous barks which contrast perfectly the dark brown and light brown color of the wood. 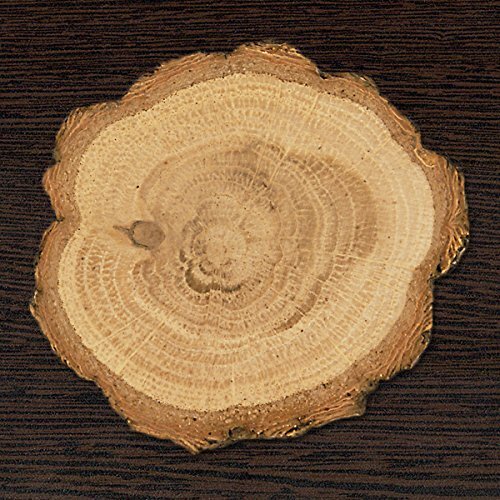 this wooden slice features ready to mount figure with attached magnetic impressions. It ensures very traditional, shabby chic and contemporary looks. Add inspiration to your home every day with this accenting wood piece because the piece is made to look like reclaimed wooden log, it is a charming decor piece as well as an inspirational one. This piece will show your personality to all who enter your home. It arrives ready to hang with no installation required, and comes with sturdy round corners to keep it from damaging in transit. Slices measures 1.25" to 2"